Our Quality Focused Staff and Dr.Mullick are ready to Offer Customized Care.We offer Painless Colonsocopy and advanced procedures without pain. Painless Colonoscopy provides " greater patient comfort and the quality of the the exam is better giving better detection rates of Polyps" and Dr.Mullick does not get paid extra.Anesthesiologist adminsters anesthesia. He is among top 5% in Illinois to have received 7th year training in Advanced Endoscopy,Colonoscopy,ERCP,EUS procedures from top 2 hospitals in America.CDH/Delnor Heart/Cancer centers are now affliated with Cleveland Clinic where Dr.Mullick did fellowship. This assures you that you are getting "Risky procedures" done by a Certified specialist. No referrals reqd.for PPO insurance and Medicare insurance.Others please insist and ask for referrals to us--fight the bias-It's your Health and You should have the choice to select us. Pl.read the risks of going to someone else. Some of the Advanced or Interventional Endoscopists teach--Dr.Mullick teaches by being a SERIES EDITOR and presenting his research at top conferences. He has patients from Los Angeles,Michigan and many other parts of USA. Many celebrities incl.actresses seek his care to help their voice problems. Top New companies offering New PH procedures seek Dr.Mullick's advice. Dr.Mullick received the EAGLE SCOUT AWARD at age 13--making him the YOUNGEST EAGLE SCOUT--from an Astonaut. Dr.Mullick received American College of Gastroenterology GOVERNOR's AWARD for his research on CANCER BIOMARKERS in 2002.He received CLINICAL AWARD from ACG in 2004. CDC reported:Half of Colon Cancer caught Late-leading to over 50,000 "unnecessary"deaths/year. Dr.OZ agrees with Dr.Mullick on Early detection saving lives.He told Larry King on CNN that 25% of people over 50 have Polyps that could become cancerous.Dr.Mullick is the "Top expert" on removing those Polyps and prevent Colon Cancer with Early Detection.So don't take chance--Go to the best doctor and avoid getting Colon Cancer-he carefully diagnosis early Cancer possibilities with Certified advanced training. Women aged 55 or younger have higher frequency of Colon Cancer than Men. (you can read the article below-by clicking the URL provided).Please read Dr.Robyn Karlstadt's article in ACG. Dr.Mullick created Women Health Gastroenterology group to take care of women's digestive problems with a multidiscipline team. That is why,Dr.Mullick is urging women to get Colon Cancer Screening early ,even if it means spending less elsewhere.Women--please Decide--Isn't your life important to you and your family? "Colon Cancer is a preventable Cancer"
"Remove Polyps early,Prevent Colon Cancer". ***Overweight people tend to have Digestive disorders 2 times more than normal weight persons,Colon Cancer 2 times more,Pancreas and Gallbladder cancer 35% to 85% more. Pl.Click page#2 below to see detailed risks. FYI--Dr.Mullick was called by a surgeon who was having problem with Colon for a overweight person.Dr.Mullick helped the surgeon complete the procedure successfully. Overweight people--SEE Dr.Mullick for your problems.It will cost you less. 5) Available 24 hrs/7 days.
" 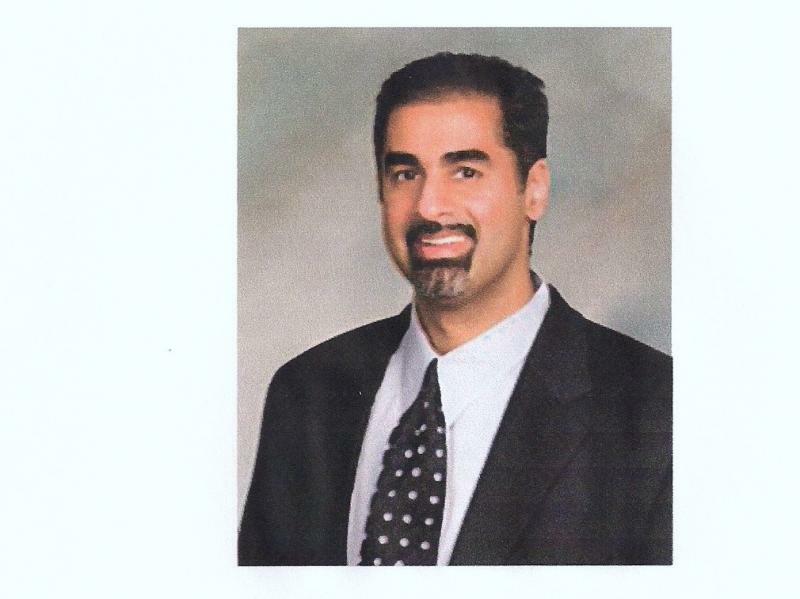 We CARE about your health"
Another example-a person with cancer difficult to detect was detected by Dr.Mullick --originally missed .Dr.Mullick arranged his surgery in 3 days with his connections. Please ask your DOCTOR that you want to see the BEST-who charges the same.You may have to insist to get the REFERRAL.If your doctor gives you an excuse that Dr.Mullick is not available -Call our office--and they will find the time as Dr.Mullick is committed to helping people in this community. HEY IT IS YOUR LIFE--YOU HAVE THE RIGHT TO REQUEST REFERRAL to A BEST TRAINED DOCTOR . DID YOU KNOW-WOMEN have 2 to 6 times more Irritable Bowel Syndrome than men.Also their physiology creates 2 times more Inflammatory Bowel Disease,Gallbladder pains and Gallstones . Please Read about Women's Gastrointestinal or Digestive Disorders .EVERY WOMEN MUST READ THIS ARTICLE. WHY? 1) Women aged 55 or younger seem to have a HIGHER frequency of COLON CANCER than MEN.The guidelines for Cancer Screening are not written for Women--but for all. Women need Colon Cancer Screening early--Dr.Mullick's experience/data agrees with ACG President's article. So tell us--how much you spend on yourself--Isn't knowing that you are Cancer Free---worth more to you and your family.READ THE FOLLOWING URL and DECIDE. FYI-- Dr.Mullick received ACG Governor's award in 2002 for his Cancer research. 2) Emotional Stress amplifies Irritable Bowel Syndrome.That is why Dr.Mullick has developed a multi-discipline treatment to minimize your pains. Part of the reason is stress /nutrition management and part of the reason is neglect.He was quoted in Ladies Home Journal on Stress impact on Digestive System and the resulting Gastrointestinal diseases/disorders . He coauthored a comprehensive article on Nutition and Digestive Cancers in Practical Gastroenterology magazine. If you are female,we pledge a "Quality and Comforting Service." Recently we took care of a famous actress in a very efficient way and helped her voice.Her agent has recommended us to others for "QUALITY and Comforting CARE." Our SPA like atmosphere and numerous female assistants sensitive to your needs along with Dr.Mullick's comforting and calming style will get you EXCEPTIONAL CARE. PLEASE REMEMBER that "EARLY DETECTION SAVES LIVES"--our trademark belief. SO DON'T WAIT--CALL TODAY --OUR TEL.lines are open 24 hours/7days a week. Call Us Today! Our "NEW MAIN OFFICE "is located at 2631 Williamsburg Ave.,Suite 301;GENEVA,Illinois,60134--across from Delnor Hospital and next to GENEVA COMMONS in a Newly constructed building--Tel.# 630 232 2025.
and 610 Plaza Drive,Unit#1,SYCAMORE,IL.60178 Tel.# 815 895 5252. Please note NO REFERRALS REQD.for PPO Insurance or MEDICARE--others can ask their doctor for us--for the same charge-you get the top rated and better trained doctor. Pl.remember Board Certification requires 75% marks--so you can have 1 out of 4 wrong answers to be board certified.Dr.Groopman of Harvard wrote a book on Misdiagnosis after his own problem was misdiagnosed.This book is a best seller-gives you the reason to seek the BEST as 15% of problems are MISDIAGNOSED. It is YOUR HEALTH and LIFE--Why not SEEK THE BEST in Your area.WHY RISK YOUR HEALTH--SEEK THE BEST TRAINED at "SAME COST"!! !Dr.Mullick is the only Advanced Endoscopist in this area--Kane County/Dupage County/Dekalb-Sycamore area.